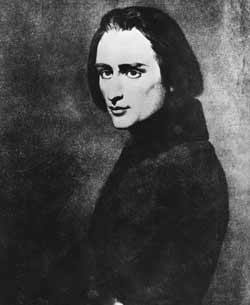 Franz Liszt. Legendary virtuosic pianist. Fabulous composer, despite the current debate over whether his work was any good or not. And oh, how the women swooned. They threw their handkerchiefs at him in appreciation of his talent and physical beauty. This phenomenon is referred to as Lisztomania. Oh, to be a stud like Liszt! YOU CAN BE. Be a philanthropist. Franz Liszt taught over 400 students in a 40 year period and never charged for a lesson. And by the time he was in his mid-40s, Liszt started giving most of his performance earnings to numerous organizations he felt were worthy of his financial support. This one is easy! Contribute to Salon97 for our annual fundraiser to help keep our programming alive. We only ask for donations once per year! It’s easy to donate.